Dental crowns and bridges are two of the most commonly used restorations in all of dentistry, and the reason for that is simple: they work! 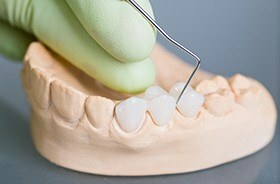 Why Choose Corbin Family Dental Care for Crowns & Bridges? A dental bridge can help fill in the gap left by one or more missing teeth. Two dental crowns are placed on the teeth on either side of the missing ones, and these are used to support new prosthetic teeth to close the space. 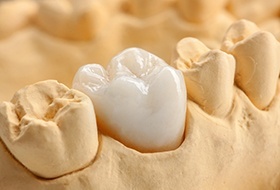 And, if a patient doesn’t have enough healthy teeth to hold a bridge, one can also be made using dental implants. Either way, a bridge can drastically improve the appearance and function of the smile at the same time.